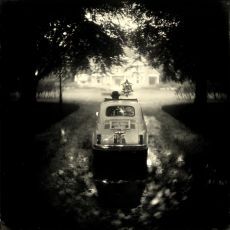 Alex Timmermans (1962) is a self-taught photographer with a strong liking for ancient photographic techniques. He practices photography during his entire life, starting with a Nikkormat. The change from analogue to digital seemed to be a logical step. However, the excitement and magic of films got lost during this change: ‘everything became more predictable … too predictable.’ Working on... Read moreAlex Timmermans (1962) is a self-taught photographer with a strong liking for ancient photographic techniques. He practices photography during his entire life, starting with a Nikkormat. The change from analogue to digital seemed to be a logical step. However, the excitement and magic of films got lost during this change: ‘everything became more predictable … too predictable.’ Working on the wet plate process made photography inspiring again. Timmermans uses antique cameras and brass lenses with a glorious photographic history like Dallmeyer, Hermagis and Darlot. To make just one single picture you will have to go through the whole process: cleaning the glass, pouring the plate with collodion, exposure, developing, washing, fixing, washing it again and finally varnishing. Doing this outdoors means you will have to take everything with you, including a mobile darkroom, home-made chemicals, etc. 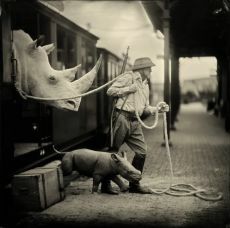 Dutch photographer Alex Timmermans is a storyteller. 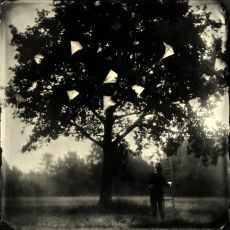 Known for his use of the collodion wet plate photography process, he creates enchanting images. In a long tradition of photographers such as Sally Mann, Joni Sterbach and the Ostermans, Timmermans uses this process to achieve unforgettable images that have a dreamy quality and an aura of mystery. At the beginning of his career, Alex Timmermans probably didn’t realise that a photographic process, which had been invented by Frederic Scott Archer (1813-1857) more than 160 years ago, would have such an influence on his passion for photography throughout his life.